John has been designing, programming, building, and installing signage systems for 39 years. For 15 years, he has been in good standing with the Society of Environmental Graphic Designers. References are attached from clients, including international designers Jillian Van Dresser, R.D. Jones, a Hilton Worldwide Executive, and resort owner “Discovery Bay” St. Lucia. 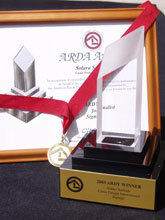 He has won over 22 international awards for best signage, Resort, Hospitality, Industrial, ARDA and Signs of the Times. John Curtis was a wood sculptor and industrial arts teacher in the mid-70’s. 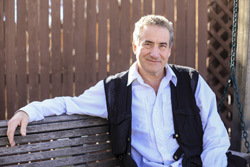 In January 1976, John founded Colorado Woodsmiths, and also founded Boyd Design Group as Executive Director in 1989. In 2010 he established John Curtis Design, a SWAT team of craftsmen, designers, and project managers, who both design and manufacture. For more information contact John Curtis at 303.570.0047 or JCurtis@JohnCurtisDesign.com.